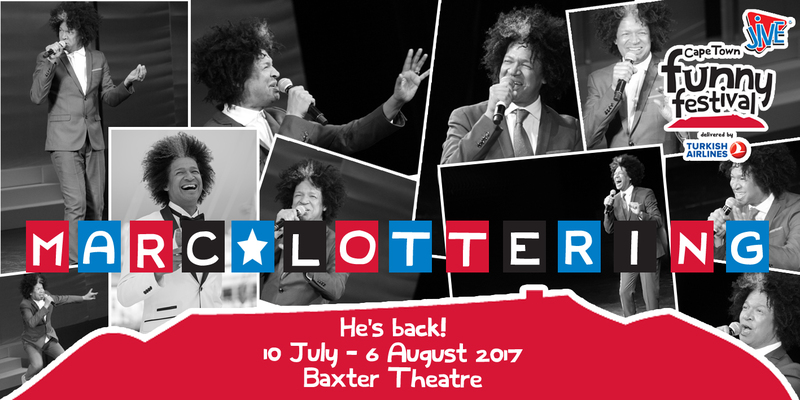 We are ecstatic to welcome Marc Lottering back to the Baxter Theatre stage for #CTFunnyFest 2017! Lottering has extensive experience in both Television and Theatre. When Marc is not performing locally, he also entertains home-sick South Africans abroad. Lottering has written no fewer than sixteen one-man hit shows for the stage. He has been the recipient of several prestigious awards along the way, and continues to play to packed houses all over South Africa. Lottering fans can follow Marc on twitter @marclottering, or visit www.marclottering.com for show dates.